I have made the drive from Salt Lake City to Phoenix and back more times than I can count. There are only a few ways you can go: the shortest distance, the shortest time, and the one with the least chance of bad weather in high mountain passes. On my drive back to Arizona a few weeks ago I decided I wanted to take a little different route because I really wanted to see the hardened and weathered insides of a volcano so ancient that it’s insides are now on the outside, the only remnants left of what was once an angry, molten-lava mountain. Called Tsé Bit’a’í by the Navajo, meaning “Rock with Wings” this formation is the giant bird that brought the Navajo safely to northwestern New Mexico. When white frontiersmen arrived they thought it looked like a clipper ship and renamed it (and everything else). Located on tribal lands and still held sacred by the Navajo you can walk around it, but you cannot climb it. Scientifically, this is the core of an ancient volcano with enormous fins of volcanic rock, up to 150 feet tall, radiating out in three directions. There are very few signs to lead you to the bumpy dirt road that will take you closer to the formation. 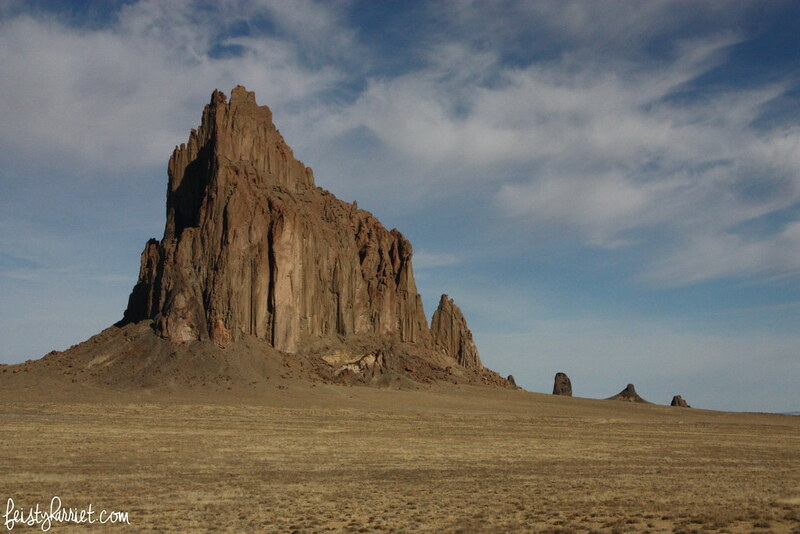 Shiprock is quite literally in the middle of nowhere, the closest other landmark is Four Corners National Monument, which if you’ve ever visited is miles and miles from anything else. 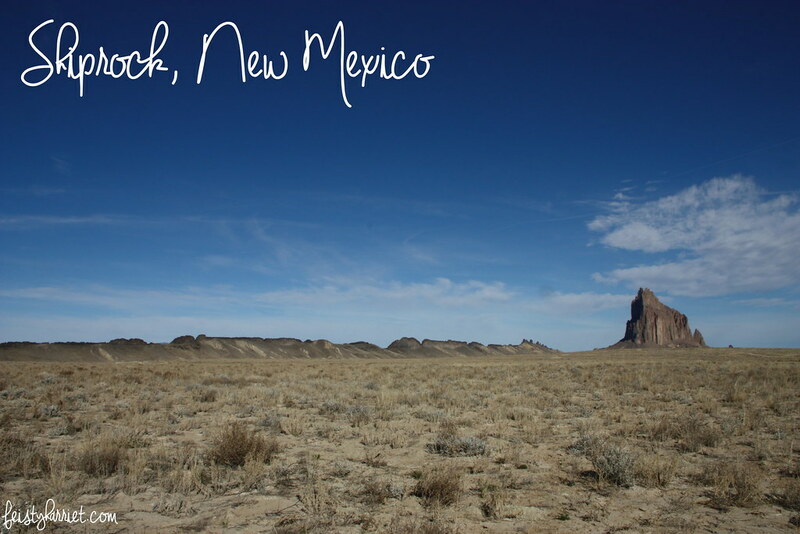 I did stop at Four Corners on my drive, it was a not-really-quick detour on my way to see this giant rock. Frankly, Tsé Bit’a’í is much more interesting without any tourist trap things to hijack your experience. 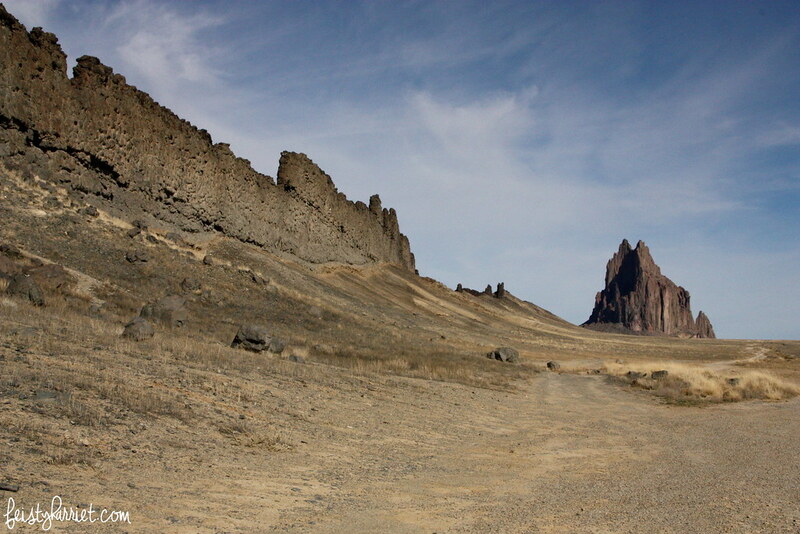 Literally: no signs, no historical marker with the Navajo legend, nothing. There was one spray-painted sign half-propped up along main highway, but that was it. That big wall on the left is the most prominent fin stretching for several miles. I didn’t climb the wall itself (hello, respect), but I did walk up a little trail to the base to see what I could see. The drop off on the other side was considerably steeper than the slope on my side, I’m not afraid of heights, but it did make me gulp a bit. The scale of the wall is massive, I can only imagine what it would be like to stand at the base of Shiprock and try and see the top. 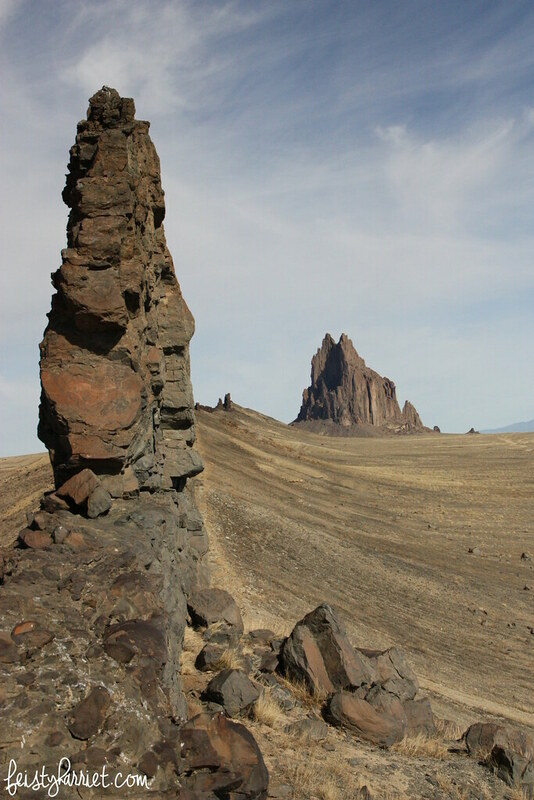 A note: I just found out there is a similar formation in north-eastern Arizona, the remains of an ancient volcano, complete with radiating walls of volcanic rock, about 1500 feet high. On my next trek through this part of the country I’ll probably have to stop and check it out too. I certainly have a thing for the leftovers of ancient volcanoes. Devil’s Tower in Wyoming is another example of an eroded volcanic plug, totally loved that as well. I am still completely haunted and mesmerized by this formation, I don’t entirely know why. 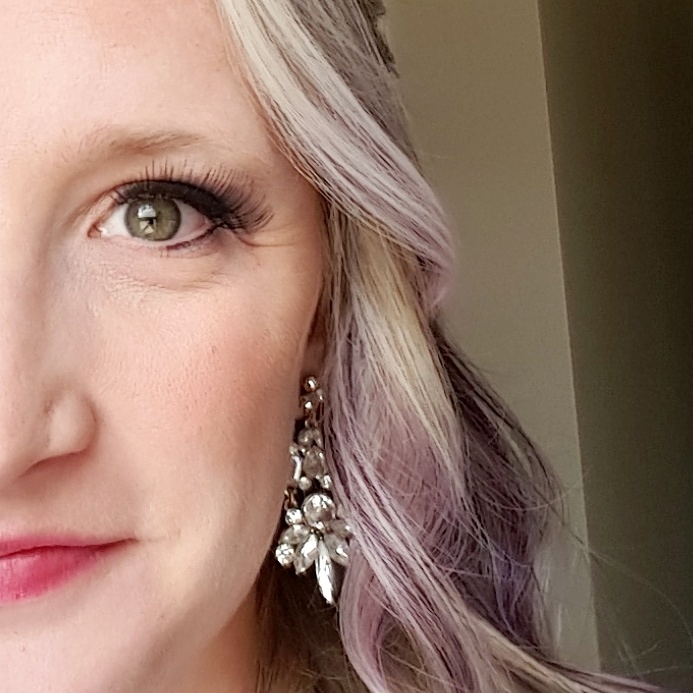 As a white girl from Utah I have ZERO claim on it, not culturally, or geographically, or anything else. But I love it, all the same. I suppose, in some ways this rocky monolith reminds me of the rocky mountains that hold my secrets, the scariest and sweetest secrets that you whisper to the wind knowing she will take your words up to the highest peaks, and carefully hide them among the shadows and the deep places, safe from prying eyes and people digging around for answers. I honestly think part of my heart is formed from the peaks and caves and cirque’s of the highest, rocky mountains, part of me always feels safer with them soaring above me. 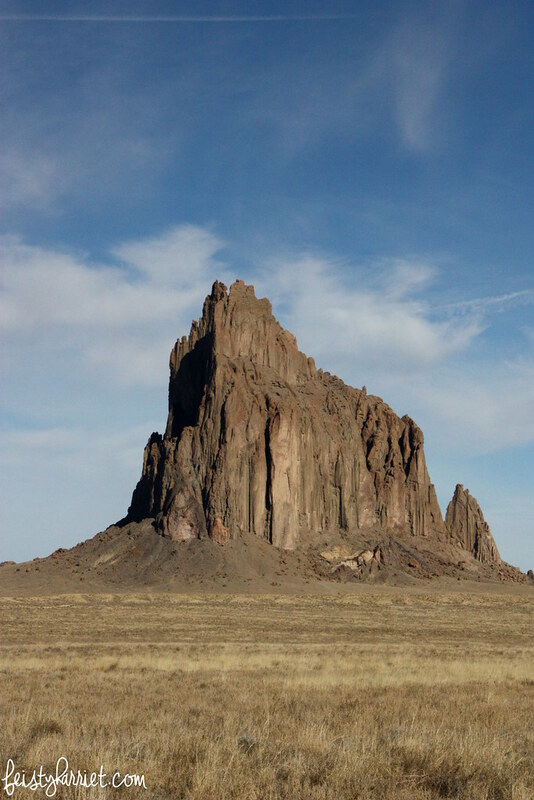 This entry was posted in Far Off Places, Photography and tagged I love volcanoes, Navajo, New Mexico, Photography, Road Trips, Shiprock, Travel, Traveling, Volcano, Volcanoes by Feisty Harriet. Bookmark the permalink. So, so awesome. I’ve been to Arizona so many times and have barely seen a quarter of the sites you’ve been to. Probably because they are so dang far apart! Also, I definitely have a bit of wanderlust in my blood, I just want to see ALL THE THINGS! I don’t know if I envy you your traveling schedule/all the long drives, but I do envy your explorations along the way! It keeps me (mostly) sane, for sure. I’m always on the look out for something new to break it up….there’s probably a life metaphor in there somewhere.